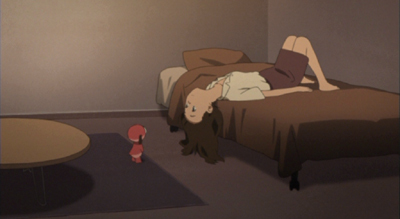 Whether or not you like Japanese animation, Paranoia Agent is really worth watching, especially if you're interested in mystery, surrealism, intrigue, or suspense. Satoshi Kon, the late creator and visionary who dreamed up and directed this series, did a good job at setting it apart from everything else on the market. It's not filled with anime cliches, but it's also distinguishably anime style. It's too short to be considered a full series, but too long to be considered a miniseries or a movie divided into segments (much like how I see things like FLCL). 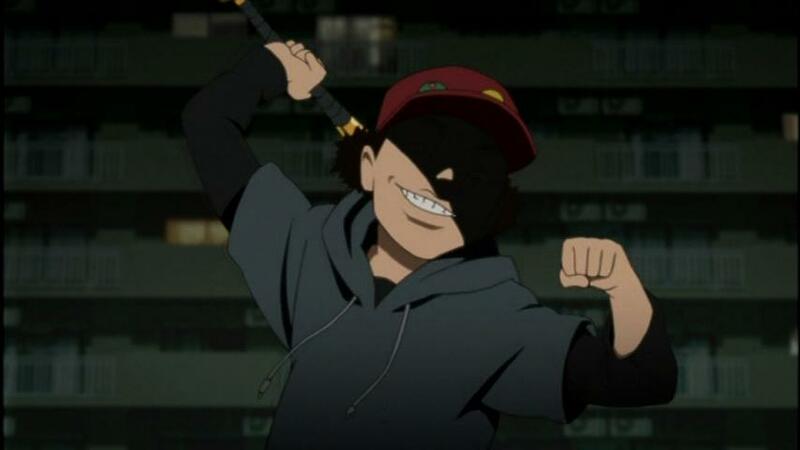 I don't want to give too much away for those interested, but I'll tell you this - social phenomena are a big part of the series, and it can be roughly, roughly described as the accounts of the victims of a boy who rides around on inline skates and attacks them with a bent baseball bat. It's got suspense to rival King and Hitchcock and more freakishly surreal and abstract ideas than a Lynch film can hold (er-maybe). Don't let the premise turn you away from the series. As far as abstract art goes, you're not supposed to get it. Just follow along... it's several hours well-spent. On an unrelated note, I'm going to be leaving to go down south for the Thanksgiving holiday, most likely a few days starting next Tuesday. Whether or not Adele will be coming with or if David and Evelyn will put her in somebody else's care for a few days still isn't decided. Fingers crossed that Adele is coming with though. As you might expect, my new blog that's just starting to get off its feet will be less active. I'll still try to update every day, but no promises.